If you’re in town, we’d love to see you! If you’re keeping up from afar, we’ll be posting live updates to Facebook and Twitter as well as recapping highlights from our speaking sessions here on the blog. 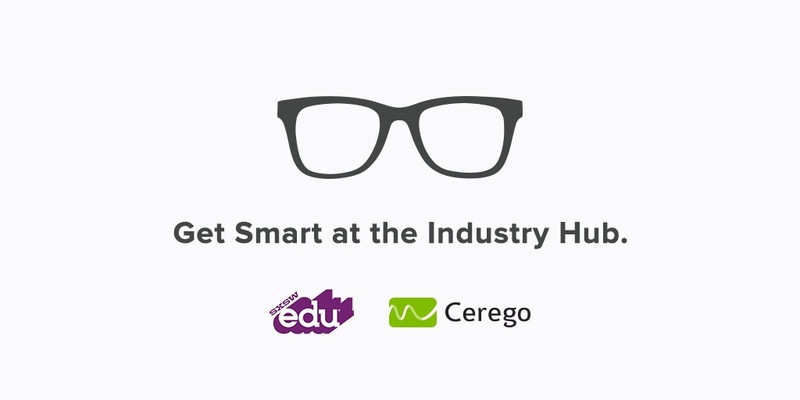 The Industry Hub, hosted by Cerego, is the destination for conversations related to the business of education. The hub is envisioned as a place where stakeholders in the education business community can convene to move the needle forward. This is the first year of the Industry Hub event. This 2-hour exhibition will showcase cutting-edge projects in student success, personalized learning, and next generation courseware, funded by the Bill & Melinda Gates Foundation. 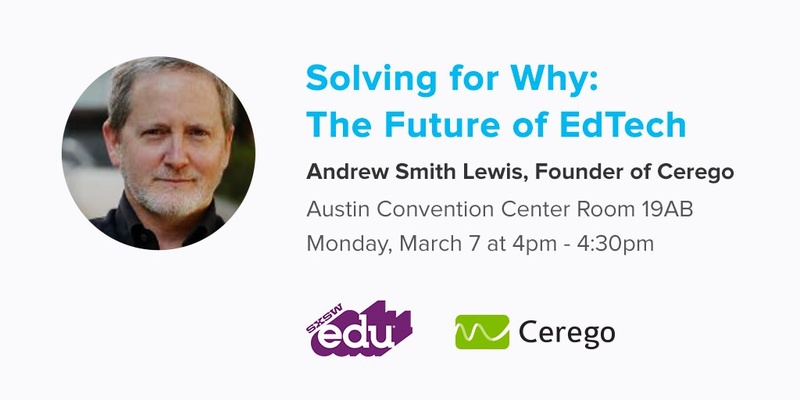 Explore present and future visions of edtech with Cerego Co-Founder and Executive Chairman, Andrew Smith Lewis, addressing the “why” behind the future of learning and strategies to foster student motivation through better data, assessment, guidance, access and technology. 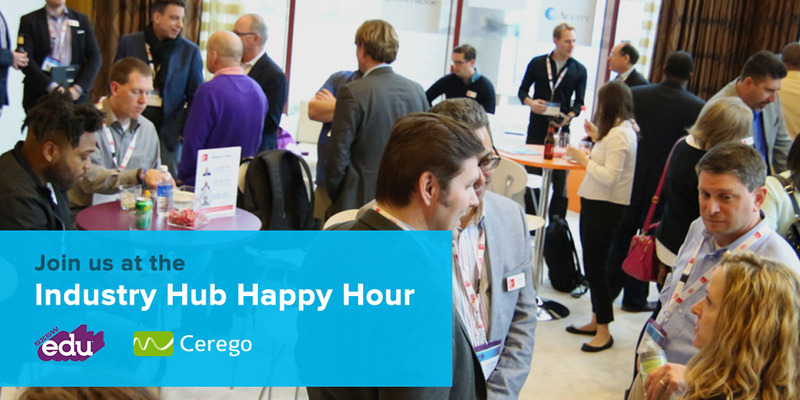 Learn how to strategically identify the right partner and succeed in your partnership through co-creation with Cerego, VitalSource Technologies, and Pearson North America. 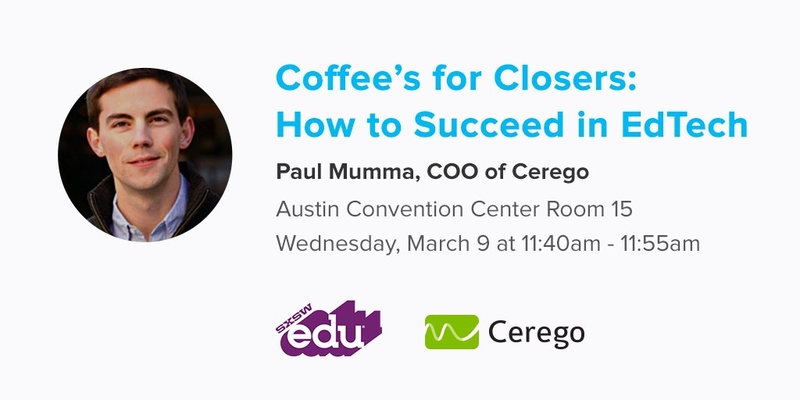 Tackle the business behind the blackboard with Cerego COO Paul Mumma, and get tips on how to close deals, strike necessary partnerships, and develop a long-term strategy for your company. Planning to be in town, too? 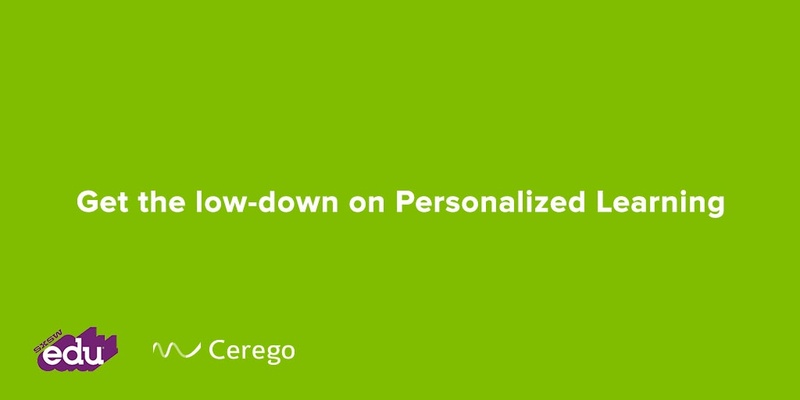 Shoot us a note at hello@cerego.com – we’d love to meet, and hope to see you here in Austin! Previous Post Three cheers for Cerego 3.0 for iOS!